Take a trip back in time and see the plants and animals that lived then! 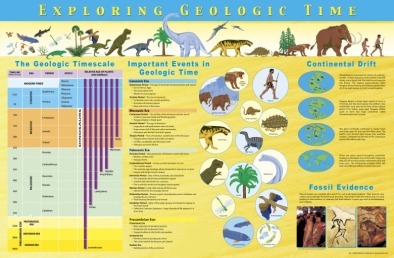 Get budding palaeontologists excited about geologic time with this History poster. 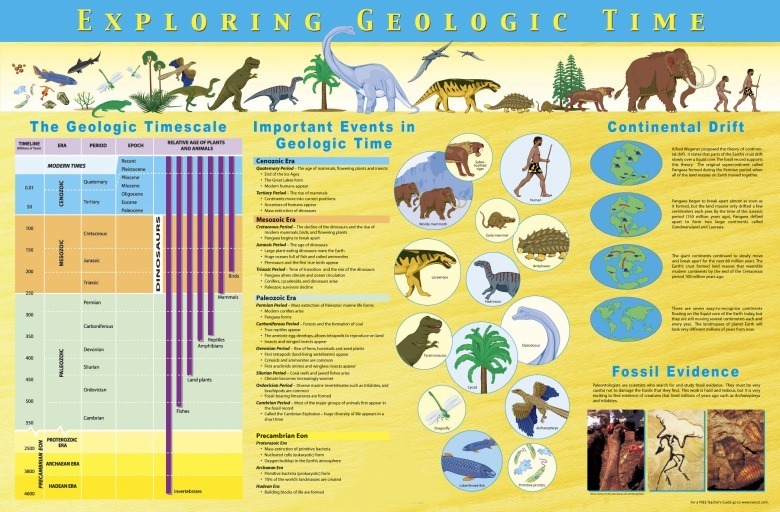 Students discover the plants and animals that lived during the major divisions of geologic time - Era, Periods, and Epochs. They'll also visualise the milestones of geologic history in the order they occurred and learn how they are related to continental drift. Includes a detailed Teacher's Guide.